Located on the main floor of the Library, there are 16 workstations available with ArcGIS software and SPSS or SAS through Ryerson Virtual Applications. Use the DMP Assistant to show how to plan your data management step by step. Want to store your research data in a secure repository on a Canadian server? 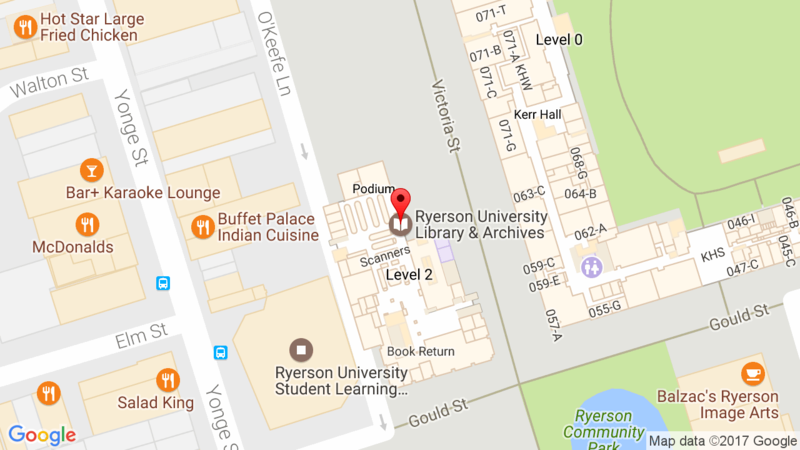 Check out the Ryerson University Dataverse from Scholars Portal! For help using this resource check out the Dataverse Guide or request a consultation with the Map and Data Lab. Are you interested in a workshop about statistics and data resources that are available from the Library? If you have a group of five or more, please contact kevin.manuel@ryerson.ca to request a workshop with the Data Librarian. Check out this online archive of free sources from Open Data in Canada. If you need assistance with analyzing statistics, please contact Math Support.